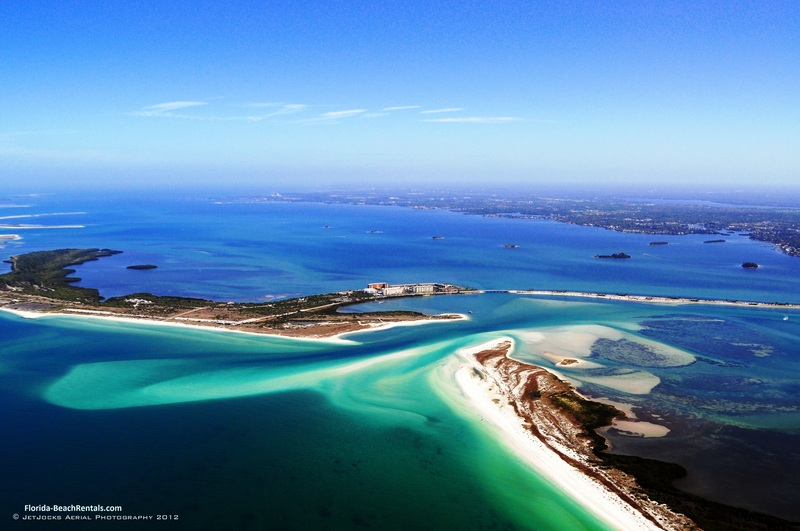 An aerial view of the pass between Honeymoon Island and Caladesi Island with the Dunedin causeway center right. This location is truly paradise. It is a playground for both beach-goers and boaters. The shallow sandbars create places for the two to meet. Sea life abounds surrounding the islands, including manatees, dolphins, and sea turtles. Honeymoon Island and Caladesi Island are in Dunedin, Florida, a ten minute drive away from Clearwater Beach, Florida.